Ildiko Nova was born in Hungary in 1966. She has been doing art since she was a child. Though she is mostly self-taught in art, she also took courses in watercolour at George Brown College in Toronto. Ildiko does different media such as spontaneous marker drawings, illustrations and acrylic paintings, uses recycled materials. She explores the line between reality and dreaming and juxtaposes unusual elements. 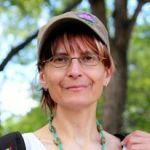 Trained as a community worker, Ildiko is always looking for connections to communities. She has taught art to street people in Toronto, volunteered in different art organizations in Winnipeg. Her interest as an activist includes human rights issues for underprivileged, marginalized communities and ethnic groups; she also would like to see more respect paid to women and children in our society. With past experiences as a Roma in Eastern Europe at the back of mind, Ildiko has gratefully accepted invitations from Aboriginal classmates in Canada to learn about their cultures – and this new awareness also surfaces in her art. When it comes to the subject of “Roma”, or as the most of the world know, “gypsies”, it’s either a complete lack of education or a source of deep hatred, xenophobia and misunderstanding. First of all, the word “gypsy” is a derogatory term, the correct name is “Roma”. Roma people left the lands of India around the 9th-10th century to Europe. Their different culture and lifestyle have never been fully accepted in the often xenophobic European environment. Slavery, Holocaust in the past, segregated schools, exclusion from social participation today. When we talk about Roma people it’s either lack of knowledge, it’s about human rights violations or it’s cultural appropriation. If you are interested in other cultures, remember that it comes with responsibilities: learn their history, learn their current situation in globalization, fight stereotypes. The best way to help underprivileged people or communities is to share their positive stories about their successes. It is about time to be open-minded and to educate ourselves about all the different ways of life by the ones we do not know. The Dangerous Women Project is an initiative of the Institute for Advanced Studies in the Humanities at the University of Edinburgh. The Project asks: what does it mean to be a ‘dangerous woman’? The idea that women are dangerous individually or collectively permeates many historical periods, cultures and areas of contemporary life (despite, and in some instances in response to, explicitly feminist movements). We may take lightly the label attached by mainstream media outlets to women such as Shami Chakrabarti of Liberty, or Scotland’s First Minister Nicola Sturgeon as being ‘the most dangerous woman in the UK’. But behind this label lies a serious set of questions about the dynamics, conflicts, identities and power relations with which women live today. The Dangerous Women Project will curate 365 responses to those questions from all over the world between International Women’s Day 2016 and International Women’s Day 2017. 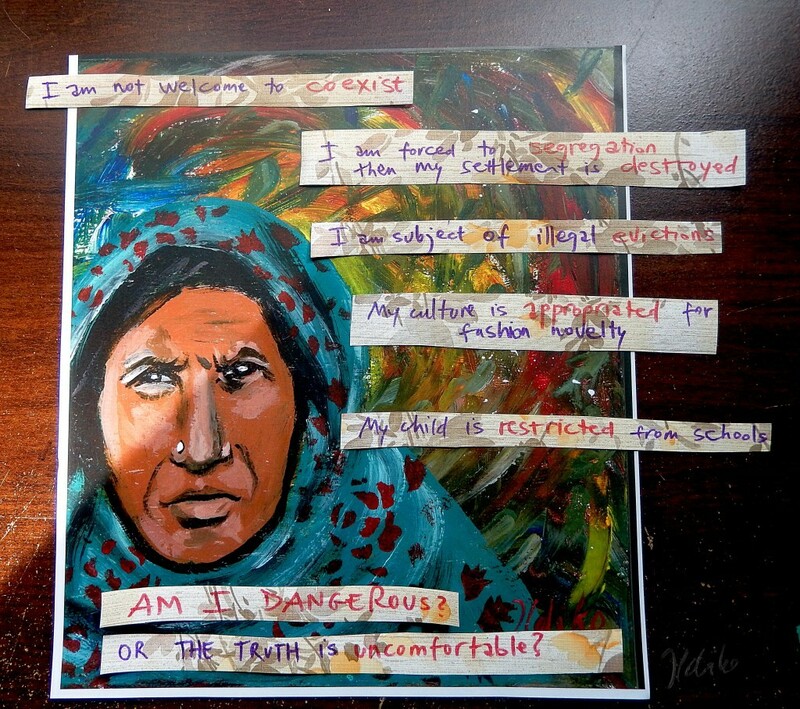 Each daily Dangerous Women Project post will explore, examine or critique the ‘dangerous women’ theme by inviting reflections from women of diverse backgrounds and identities, including poets, playwrights and other creative writers, academics, journalists, commentators, artists, performers and opinion formers, and indeed anyone with an angle on the theme. All views expressed in the Dangerous Women Project’s daily posts are therefore the views of the individual author, not of the Institute or the University. Read our submissions page to find out how you can add your voice to the Dangerous Women Project. If you’d like to know more about what inspired the Dangerous Women Project, you can read about its history here.